As the activities of the port of Rotterdam gradually shifted west and towards the North Sea, the harbours in and around the centre of Rotterdam were left empty. The quays were no longer being used as before and surrounding buildings were redeveloped or demolished. Life on the water disappeared along with the shipping. 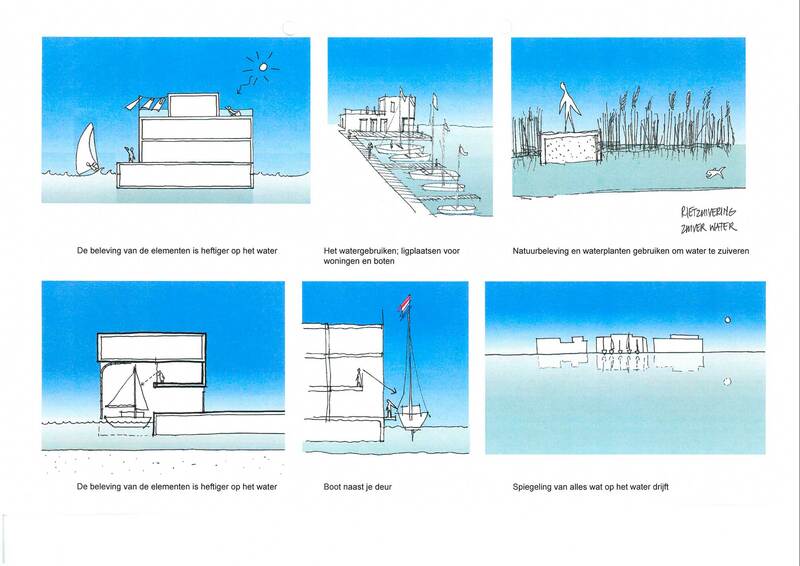 The city of Rotterdam designated the small Nassau harbour, to the south of the River Maas at Feijenoord, as a test site for floating dwellings. 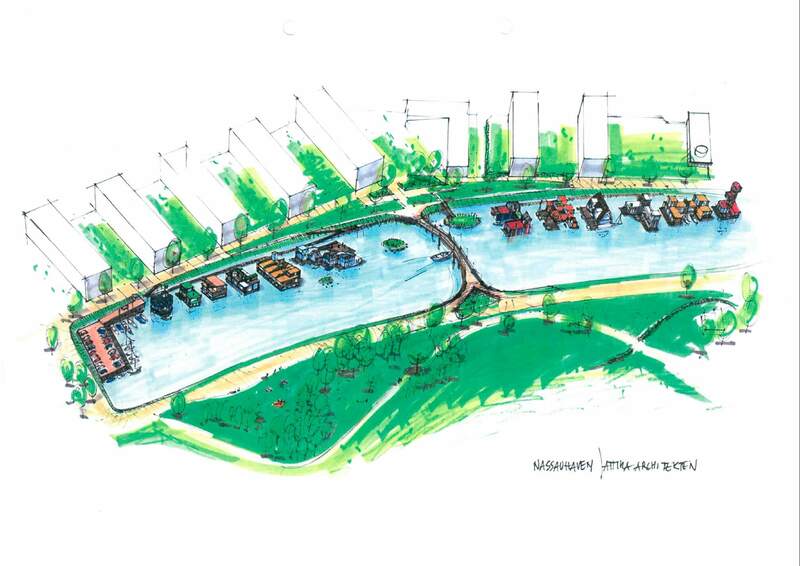 In a select tendering competition, several parties, including the Monteflore + ABC Arkenbouw consortium, were invited to draw up plans for the site. 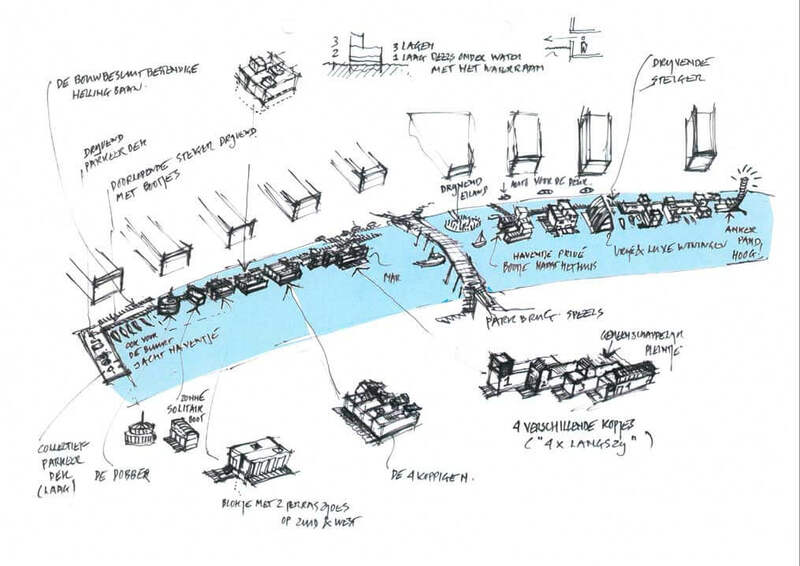 Together with Attika Architecten, this consortium devised a plan that departed considerably from the basic principles set down by the city of Rotterdam. 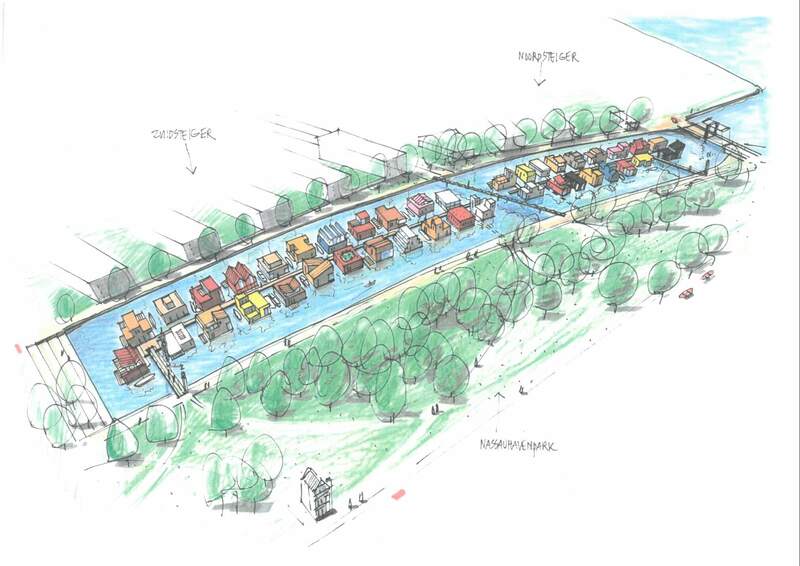 The city envisaged floating homes at this site, accessed in pairs by a footbridge from the western quay. 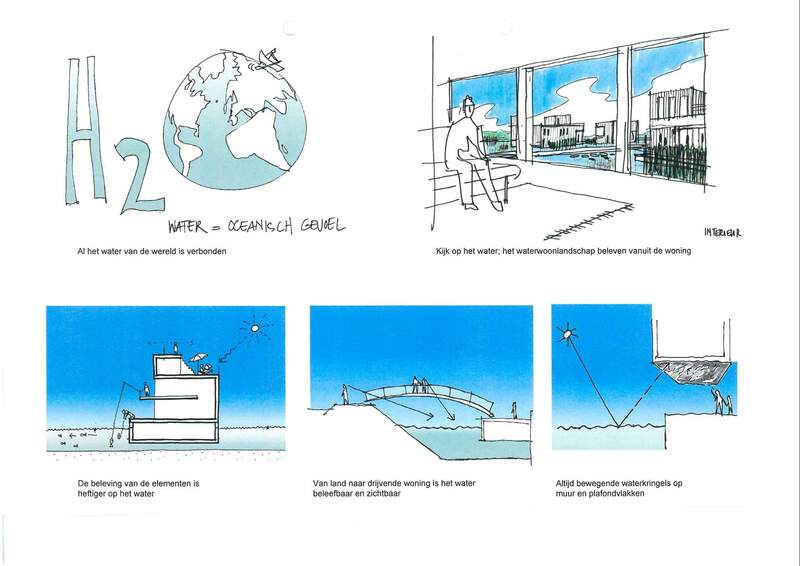 Monteflore, ABC and Attika came up with a plan featuring a floating jetty in the centre of the harbour with floating homes on both sides. This solution leaves the water edges free. From the surrounding quays, there is a view of this floating hamlet in the middle of the harbour. The plan came second in the competition.